Producers strive for their sows to be healthy, fertile and have a good milk yield. A sow’s gut microflora profile has a big influence on its piglet’s gut health. 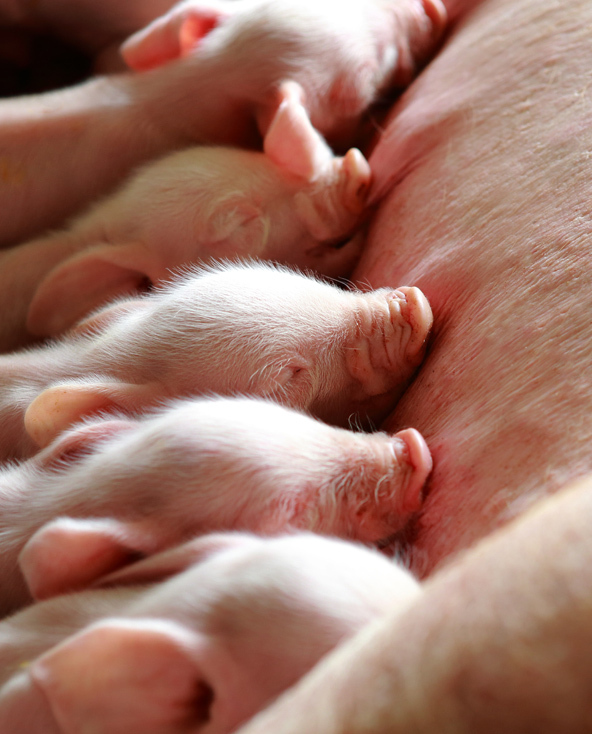 At birth, piglets have a sterile GI tract and experience a very fast and diverse microbial community originating from the sow and its environment. By promoting the growth of beneficial bacteria in the sow’s gut, we can produce a farrowing pen with a desirable micro oral environment ready for piglets. Feed contained with mycotoxins can affect the health, reproductive performance, feed intake and milk production of the sow. Each mycotoxin has different physical and chemical structures and feedstuffs are naturally contaminated with various toxins. Therefore, functional mycotoxin control requires various modes of action. Have a look at the solutions below to learn how Innovad can help maintaining sows health and productivity with multi-task protection, support and prevention.